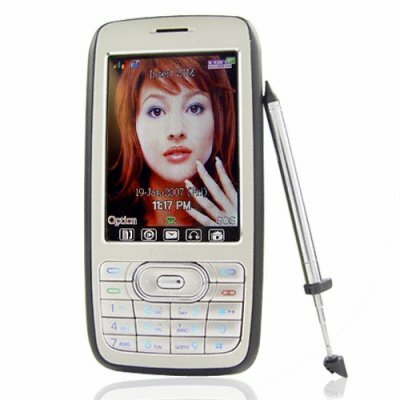 Successfully Added Unsurpassable Touchscreen Mobile Phone with TV to your Shopping Cart. Continually breaking new ground Chinvasion brings you our first TV mobile phone. This classically styled cell phone hides a extreme range of features including an organiser, 1GB of storage, full Analog TV and touchscreen character recognition for easy message and appointment entry. The easy quick dial feature allows the screen to show a keypad for quick phone number entry. Movies and music are a truly blissful experience with A2DP earphones feel the freedom of no wires! A phone of this scale has too many features to put in a single paragraph so check below for a menu breakdown to see what our unsurpassable Touchscreen TV Mobile Phone is truly capable of. Get a closer look by ordering yourself a sample at our excellent wholesale prices then after you've given it a thorough testing, sell with confidence over eBay or similar and use our great drop shipping service. NOTE: This product is compatible with GSM at 900MHz, 1800MHz, 1900MHz only, please check with your local provider if you are unsure. If you wish to make comments or reviews about this product, please use the product review. Please open an enquiry ticket if you have questions.